As shown in the chart, if 13300 is convincingly broken, a drop to 13000 is very likely in my opinion. So far, it's only a test of the last highs though (similar to late August). 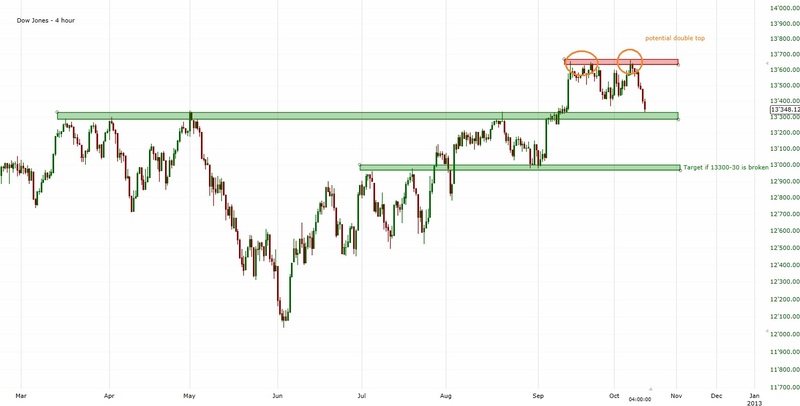 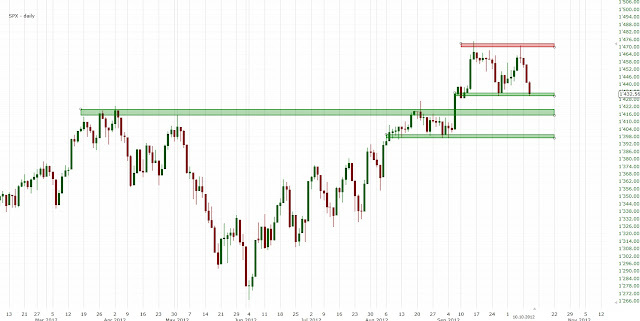 So, if the Dow holds 13300, we should continue the medium-term uptrend. So, tomorrow should be quite interesting. 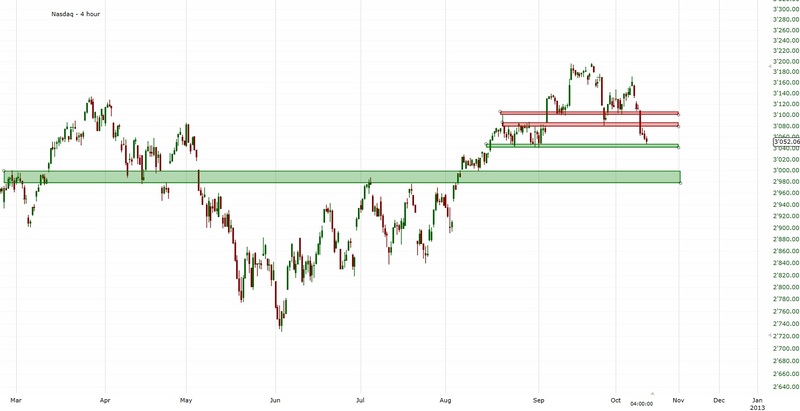 We'll see if the support levels hold.